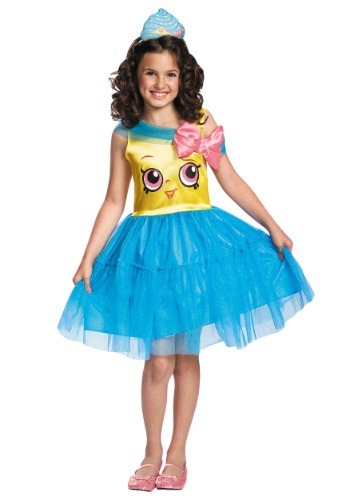 She'll look darling and instantly recognizable in this dress’ shiny accents, frilly skirt, cupcake crown and, of course, the Cupcake Queen's friendly face is the front. All she needs are some red slippers and a DIY apple scepter to dream herself right into the biggest (tiny) role of her lifetime! Now that is one coveted and rare costume that just so happens to also be royally delicious!